Are you looking for the Dolby Atmos installation tutorial? This tutorial explains how to install Dolby Atmos on an Android phone. We all listen to our favorite music on a smartphone when we work, run or play. Even most of us like to watch movies on our smartphones. There is something called Dolby Atmos Surround that can take our musical experience to the next level. You might know that Dolby Digital Surround technology can be downloaded and installed with or without rooting your Android device? Before you start to install Dolby digital audio, let’s learn it. What is Dolby Atmos For Android Smartphones? Digital Dolby Atmos, which was introduced in cinemas later, was also available on SmartPhones and other Android devices. The Dolby Theater in Hollywood, California was the first to get Dolby Atmos to surround sound. Famous movies like Star Wars, Batman Vs. Superman used Dolby Digital Atmos surround sound. Dolby Surround cinemas have up to 64 speakers placed in multiple directions to create a 3D surround sound effect. With the advancement of technology, Dolby Atmos has become available for most of the Android devices by several manufacturers. The first smartphone was Lenovo A7000 to get Dolby Atmos technology. Android developers have ported Dolby Atmos from Lenovo A7000 to provide it to all Android devices. How To Install Dolby Atmos? Well, only a few Android devices come with Dolby Atmos pre-installed. But do not worry after completing this guide, you will be able to have Dolby Atmos. 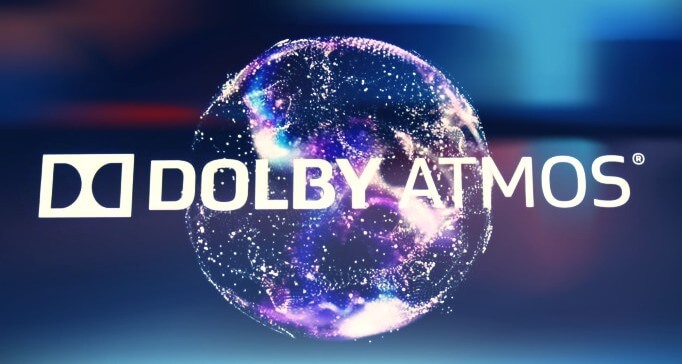 There are two methods which you can follow to install Dolby Atmos on your device one being rooted and the other for non-rooted devices. If you have an unrooted Android device, you can get Dolby Atmos after installing Dolby Apk. If you have a Rooted phone, you can install Dolby Atmos on Android by installing a zip file. If you do not want to root your Android phone but want to experience 3D surround sound? Get ready for a pleasant listening experience on your Android phone. The first method is the easiest way to install Dolby Atmos on Android without root. You must download the Dolby Atmos application and make configuration adjustments. So let’s dive into the tricky part of this method. Step 1: Download and install the Dolby Atmos apk (no recovery) on your Android device. Before proceeding with the installation, make sure that you have enabled the option to install unknown sources from the configuration. Step 2: Restart your Android phone after Dolby Atmos apk is installed successfully. Do not open the app yet. You must follow more steps. Step 3: Install the Google Play Music app from the Play Store (skip it if it’s pre-installed). Only Google Play music will work. So do not try other music apps like Spotify. ￼￼Step 4: Disable the default equalizer for your Android phone. You must do this to ignore the error which caused it to stop, unfortunately. The default equalizer is in the configuration, or you can find it in Google Play Music. Step 5: Open the Google Play Music app and click three horizontal lines in the upper left corner. ￼￼Step 6: Click on the settings in Play Music Navigation and scroll down. ￼￼Step 7: Go to the Equalizer and open it, then turn on Dolby Atmos from there. Most of the time, it will be activated automatically. ￼￼Step 8: Go back to the music library and play any song. You can disable the Dolby Atmos application and test the sound before and after the installation. Boom, you managed to get Dolby Digital Plus effects. Use headphones for the best experience. Important note: to be honest, you will not get the real effects of Dolby Atmos without root. In this way, you can only get the Dolby Digital Equalizer that will work only with Google. Important Note: To be honest you will not get the real Dolby Atmos effects without root. In this way, you can only get Dolby Digital Equalizer which will only work with Google Play Music. It is must to disable default equalizer on your device. Do you want a heavenly feeling while you listen to your favorite music? Well, take a deep breath because you will have that feeling because you will have learned that installing Dolby Atmos Apk without root does not lead to a real Dolby sound module. Therefore, we must update the Dolby Atmos ZIP file through a custom restoration. This activates the digital audio mod on our phone in Rome. Transfer Dolby Audio to your phone. Root Guide: Android Root without PC. Steps to install Dolby Atmos on Android through custom recovery. ￼￼Disclaimer: if you do not know anything about root, OEM unlocking or custom recovery, do not try at all. Do some research before trying this method. Techolite or the author cannot be responsible for defective SD cards or damaged devices. Step 1: Download the Dolby Atmos zip file on your Android phone. The ZIP file only applies to a root device on which a custom recovery is installed. In this case, the recovery of TWRP is preferred. Step 2: Backup your data (recommended). You can use Titanium backups, Computer or other backup options. If there is a problem, you can restore your data. Step 3: Power off the device and restart the recovery mode (by simultaneously increasing or decreasing the power button and volume). It depends on the device. You can search the name of your device and the recovery mode to access Google. Step 4: Access the installation and click on it. It is on all buttons of the TWRP recovery. If you use Philz or CWM recovery, the process is the same for everyone involved. Step 5: Locate the Dolby Atmos ZIP file and click on it. Well, you can find it in the folder where you downloaded it. UC browsers are UC downloads, and Chrome browsers are downloads. Step 6: Now you are asked to install to install it. Hold the large circle in the left corner and slide to the right. (See screenshot below). Do not choose two options as shown in the screenshot. Step 7: Wait a few seconds, and it will be installed. If an error has occurred, let me know in the comments, I will help you solve it. Step 8: Then, delete Cache and Dalvik Cache. It is not necessary to clean the data or the internal memory of the device. If you find errors, also delete the data. Step 9: Restart your device and enjoy the sound of Boom Boom. Now you have successfully installed all the features of the Dolby Atmos application. Step 10: Now you can adjust the sound of the Dolby Atmos application. For good bass and clarity, you can optimize the sound. Just try different optimizations to find the best one. After all, you managed to flash Dolby Digital Atmos. You must use good quality headphones to enjoy the rhythms. Important note: Make sure that the boot loader for your device is unlocked and that the fundamental problem is related to custom recovery. If something terrible happens below, I will help you. If you want to uninstall Dolby Digital application with the first method, simply uninstall it. If you have flashed the file Dolby Atmos zip, follow the procedure below.